A coach who’d spent time in the WNBA, NBA G-League, and NBA, saw what many see in the entertaining, hard-nosed three-on-three basketball format created by Ice Cube and Jeff Kwatinetz. Shortly after that appearance last season, the rumors of her becoming a coach quickly started. Weeks went by, Trilogy went undefeated and won the championship, while 3’s Company and Power would have coaching vacancies to fill towards the end of the league’s first offseason. That’s when Ice Cube, Jeff Kwatinetz and company jumped at the opportunity to hire the former player and coach. Michael Cooper would coach 3’s Company, while Lieberman would join Power as the first woman head coach in a men’s professional basketball league. Inheriting a team with an established core who’d made the playoffs in 2017, expectations were high for Lieberman’s team. They’d add Glen ‘Big Baby’ Davis, draft Chris ‘Birdman’ Andersen, Quentin Richardson, Ryan Gomes, and add Xavier Silas as a reserve. “I told Corey (Maggette) at the beginning of the season that we were going to win this,” Cuttino Mobley said. Week by week, it seemed like playoff teams were starting to take shape. Trilogy and Ghost Ballers suffered through injuries and teams like Killer 3’s and Ball Hogs were inconsistent at times. It was 3’s Company, Tri-State, Three-Headed Monsters and Power who really had a hold on the playoff seeds throughout the season. And Power would go on to lose only one game, solidifying sole possession of the number-one seed. In Dallas, where Lieberman first witnessed BIG3 action, they’d play their semi-final game against Tri-State, the only team to supply them with a loss during the regular season. This time around, tempers would be high and the physicality was at a level the BIG3 had never witnessed. Back-and-forth, the two teams battled as if it was the last minutes of their basketball playing careers. 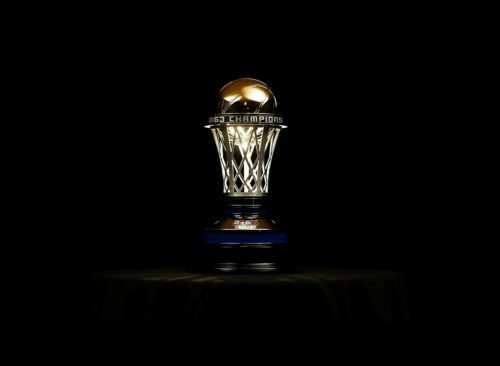 Power would come out victorious, making it to the Championship in Brooklyn, New York. “Playing pickup in the park in New York is where I got a lot of my confidence and self-esteem,” Lieberman told me. New York, where Lieberman was raised in a single-parent household, was the place where she first learned the game of basketball. She would play pickup in outdoor courts around the city. It was the place she got peace, the place she didn’t have to worry about her circumstances. Playing with groups of predominantly male street hoopers, she’d learn to play grassroots three-on-three and five-on-five basketball. She’d get comments from many who hadn’t seen a woman play with men on a basketball court. But, over time, she’d earn respect because of her game and understanding of the sport. “I’ve been coached by great coaches, Larry Brown, Mike D’Antoni, and she’s right there with them,” Quentin Richardson told the media in their post-championship press conference. In her return to the big apple, Lieberman and Power played physical in the post against 3’s Company. They executed with mismatches, rotated Birdman and Big Baby which made 3’s Company struggle and second-guess their own game-plan. In summary, Power took control of how the game would be played early and never let up. 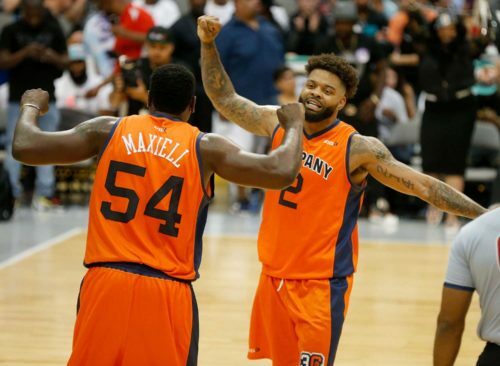 As the game was just a few points from victory, Power lost a little rhythm allowing MVP candidate Andre Emmett get a few easy points to make the game 49-43. But, with Power only needing one-point to win it, Cuttino Mobley put his back to the basket, posted up and shot one of his signature pull-ups over 3’s Companies’ Dahntay Jones. Game. Laying on the ground as blue confetti and Mobley’s teammates piled on top of him, you could feel, hear and see the excitement and emotions. There were tears of joy as Corey Maggette and Glen Davis, who went through depression and a season-ending injury respectively, hugged their teammates before they went up for the trophy presentation and locker room champagne celebrations. “When I had her on the phone and she said ‘why do you want me to be the coach of Power?’ and I said because I think you can win the championship. Here we are. She won the championship. Let’s break all these ceilings. Let’s break all these barriers. A female can do anything in sports!” Ice Cube said at the trophy presentation of Lieberman. At every turn, Lieberman deflected questions about the narrative of history and her gender and turned it to heap praise on her incredible team. She was always humble, never stopped and it’s why she’s so well-respected where ever she’s been. From New York blacktops to Barclays, Lieberman and Power made an impact on the BIG3 that’ll never be forgotten.